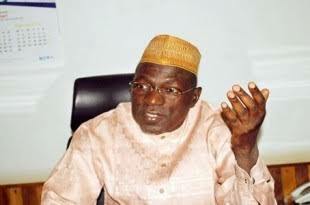 The caretaker committee chairman of the People’s Democratic Party, Senator Ahmad Makarfi has led members of the party to the Presidential Villa in Abuja. They are to meet with President Muhammadu Buhari at the new Banquet Hall of the Villa. Makarfi and his team arrived the Villa at exactly 11:00am.